This project was led by the Altoba cooperative – or Altonaer Spar-und-Bauverein eG (‘Altona savings-and-building society’) – founded in 1892 and based in the Altona district of Hamburg. 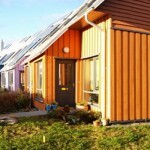 The cooperative builds two or three new projects each year and currently manages around 6,500 homes. It is controlled by its tenants, who are cooperative members, and currently employs around 100 people. 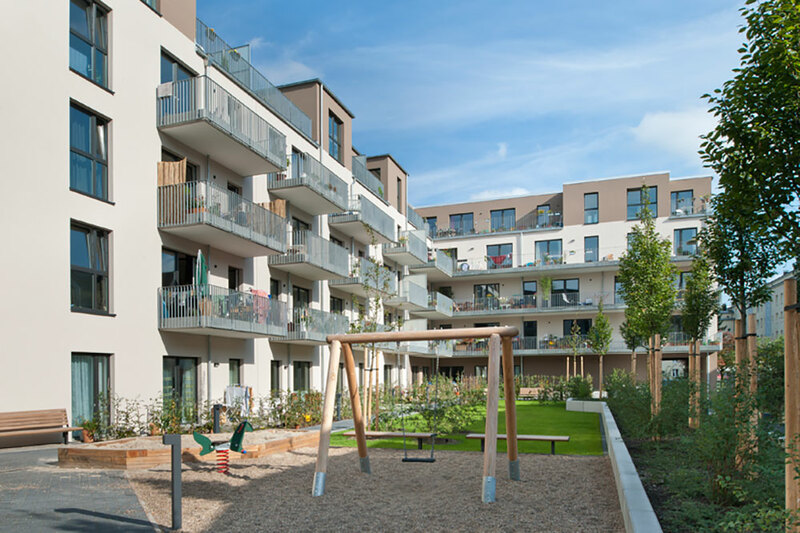 The Kleine Bergstra?e site was released by the city of Hamburg as part of a wider initiative to support the city’s social housing providers. The city has an established programme of support for building groups, which it sees as vibrant contributors to the city’s housing market. When land is released to developers they are often required to work with groups on specific sites. Further information on how Hamburg encourages groups this is available in Briefing Note Help and support for groups. 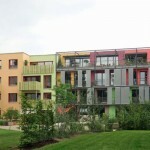 Altoba responded as the enabling developer for the site and managed the construction, finance and the integration of various partners, including two building groups – Baugemeinschaft Arche Nora (the ’Nora’s Ark’ Building Cooperative), which wanted to create a mutually supportive community for single, older women); and Baugemeinschaft Neuhaus (the ‘New House’ Building Cooperative), organised around the concept or intergenerational family living. The project also includes subsidised rental apartments for Altoba’s usual beneficiaries, as well as a residential care community for people with dementia and other cognitive diseases. For Altoba, the project was an experiment with the idea of ‘different homes under one roof’ – a concept that fits with its social objectives, but which it had not tried before on such a scale. Altoba owns the land and buildings – and the building groups and special care unit are its tenants. From a housing and public policy perspective, it is the mix of accommodation that makes the project special, making inter-generational living almost inevitable. The project was constructed on a former car park in the Altona district of Hamburg, close to the pedestrianised shopping street of Gro?e Bergstra?e (which features the world’s first town-centre IKEA) and to the Altona railway station. It is also close to the green banks of the River Elbe, and as such, has high recreational amenity value. The project represents a moderate densification of the area, but without increase in the original built footprint. A children’s playground is located to the north and the new homes are grouped around a landscaped courtyard garden. The end result is a socially ambitious housing project in a central location, within a city of high land values. 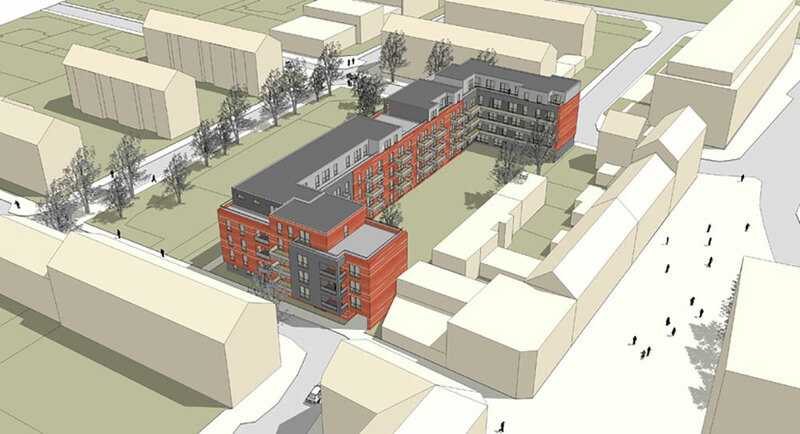 The project provides 55 units and 35 underground car-parking spaces to replace those formerly on the site. 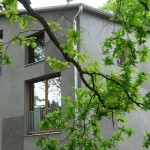 The homes are organised into five ‘houses’ that share a large communal garden. Altoba directly manages three of the ‘houses’ including the assisted living accommodation, while each building group has its own ‘house’. 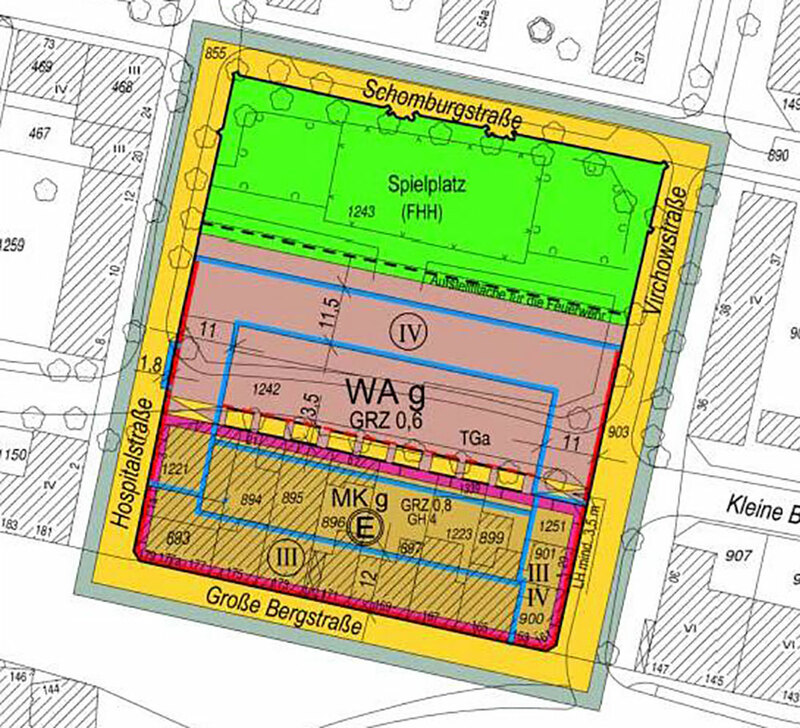 Plan showing the relative arrangement of five ‘houses’ (Haus 1, 2 and 3 managed by Altoba, Arche Nora and Neuhaus) in one block (or ‘under one roof’). 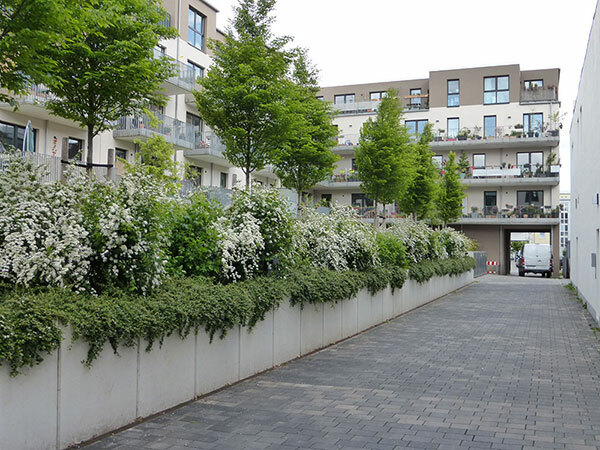 The project has a shared garden and vehicular access to the south, and borders a small park/playground to the north Each building group (called a ‘Baugemeinschaft’) came together around a particular idea about how they wanted to live. 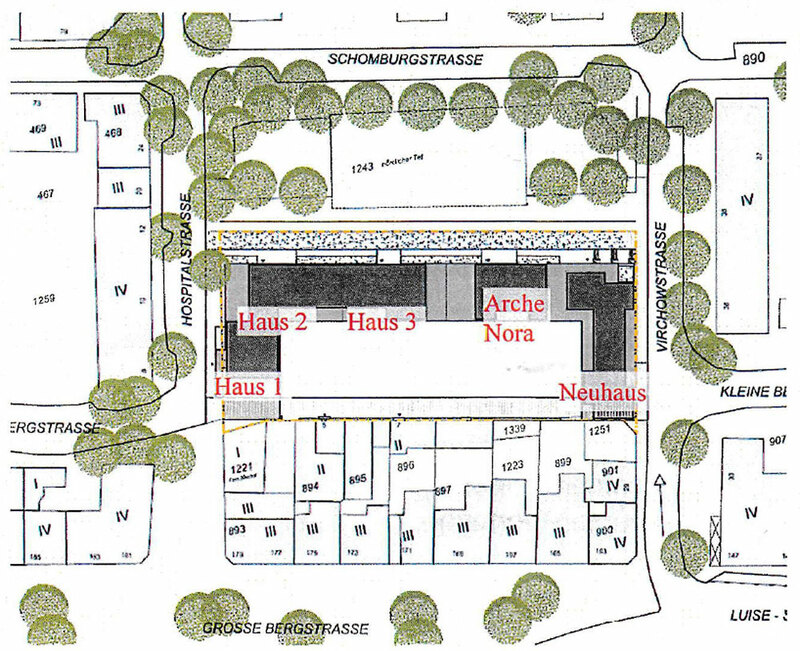 For example the Baugemeinschaft Arche Nora group, commissioned a set of homes where elderly women could support each other as they aged, but where each had their own flat. 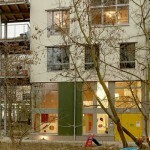 The neighbouring group – called Baugemeinschaft Neuhaus – formed around a more general concept of inter-generational living. Both groups were interested in the opportunity to customise their homes to suit these living concepts. Arche Nora was founded by three women in 1995 as a ‘club’ to support and pursue alternative food and housing initiatives for women in old age. 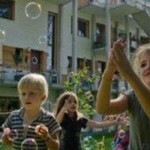 Since then its interest has broadened to include inter-generational living. Its aims are to enable older women to live largely independent lives in a familiar social environment through mutual support. The goal is the removal of the negative effects of single living – such as isolation and exclusion. The organisation has developed a strong relationship with a specific architect, who understands the needs of its members. Kleine Bergstra?e is its third project in Hamburg (with a fourth at planning stage) and the residents are selected for each project from a wider Arche Nora waiting list. 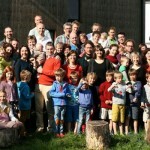 In the Kleine Bergstra?e project, the majority of participants were aged between 56 and 73. As with all Arche Nora members, the members did not want be a burden to their children, or be moved into a retirement home – and they wanted to ‘tackle the adventure of ageing with their peers’. Residents are not required to put in any equity, but must take shares in Altoba as members of the cooperative. They then rent their apartments at rates agreed with the City and in-line with their incomes. The Arche Nora umbrella group has a contract with Altoba which allows it to nominate new residents to fill any vacancies at Kleine Bergstra?e. The right is time-limited, after which – to guard against significant voids – Altoba can nominate residents from its own lists. For further information see www.archenora.de (in German). Baugemeinschaft Arche Nora commissioned 13 one-bedroom, ‘age-appropriate’ flats of 48 , 54 or 57 sq m, as well as a common room and communal roof terrace. As most group members were widowed or had never married, single-occupancy was a condition of residence – and one group member even had to leave the group before completion, as she’d found a new partner. Demand for this kind of living was strong so the group was able to draw from the larger Arche Nora pool to replace her. The homes were designed in collaboration with the nominated residents, who could choose their interior finishes and layout within a pre-defined set of variables, controlled by Altoba and the architect. 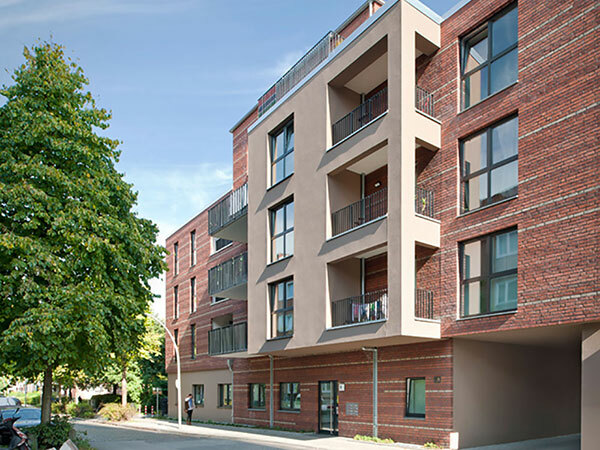 Baugemeinschaft Neuhaus provides 17 apartments of varying sizes from one to four bedrooms, designed around the group’s preference for inter-generational, family-oriented living. The group’s residents are a mix of singles, couples (with or without children), and single-parent families. 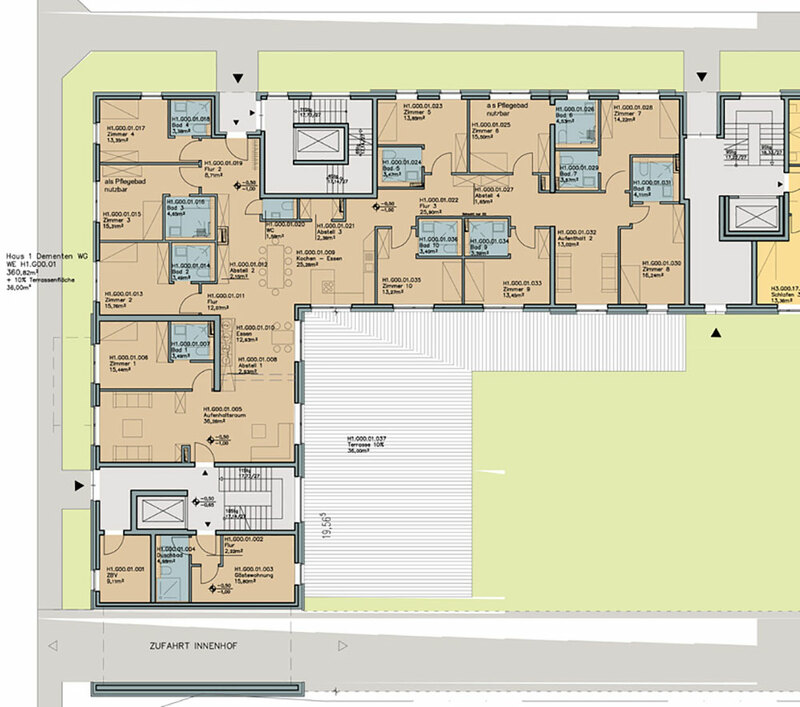 A large community room is also provided, along with a shared roof terrace. The group also chose to link some of the external balconies on the apartments to provide larger shared external spaces. 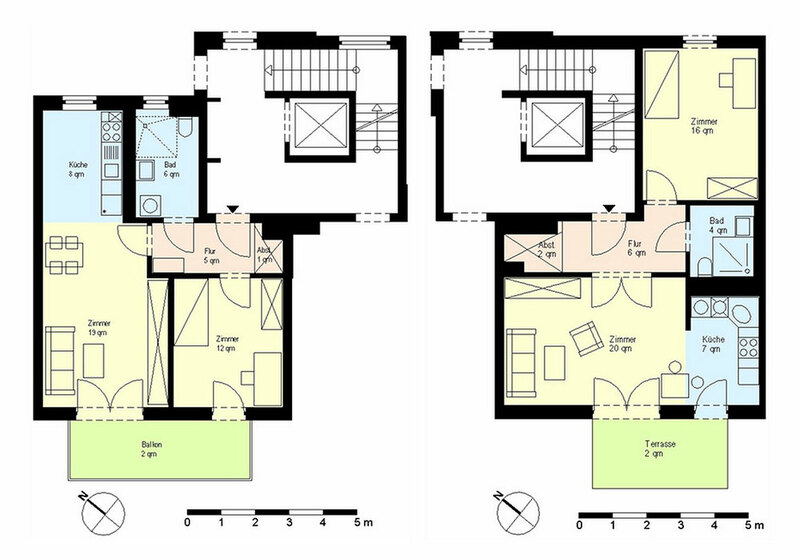 The assisted-living apartment for the Dementen-Wohngruppe (‘dementia residential group’) is about 380 sq m in total and has ten single, residential care rooms with ensuite showers, round-the-clock care and lots of shared space, including a spacious kitchen. A large private garden area is designed to match the needs of people with dementia. The architects aimed for a “normal” and familiar living environment, disguising the fact that the whole apartment is designed for disabled guests. Altoba also rents 24 dwellings directly to its usual beneficiaries, which are between 57 and 119 sq m in size and designed to be ‘family-friendly’. Each has between one and four bedrooms. All the homes are equipped with a kitchen, a full bath and a balcony or terrace. The site is located in the heart of Altona Altstadt with good infrastructure and a high recreational value due to the surrounding green areas and the nearby river Elbe. The bus stops almost on the doorstep, and there is easy access by foot to nearby shops, which particularly suits the elderly members of Baugemeinshaft Arche Nora. The site was a former car park, and needed to be officially re-designated for housing, after which the sales contract was agreed. The city of Hamburg signed a cooperation agreement in 2008 with two large, regional housing associations, agreeing to make land available for their members’ at a 20 per cent discount on the market value and with Anhandgabe (“option periods”). The land release also came with the condition that those taking up some plots had to work with building groups, which the city wanted to encourage in recognition of the contribution they continue to make to the city’s urban development. Maximum rents were set for the apartments built on the land. Altoba responded to this opportunity and, although it was required to cooperate with building groups, it was free to choose which groups to work with. The organisation arranged appointments with interested groups, so it could screen out the ones it didn’t feel were stable enough. Arche Nora was selected because its umbrella organisation had completed two previous projects, including one with Altoba and because its membership pool meant it could replace any drop-outs easily. The group is currently working on a third project with Altoba. The site would have been too expensive for either building group to purchase on its own and so the involvement of the Altoba cooperative has opened up the opportunity for them. Because the site became available through a special release of land for building groups, rent levels have been set as a condition of finance from the city’s IFB bank and relate to income ranges. The initial monthly rents for general apartments was set at €5.70 per sq m per month and at between €6.30 and €6.90 per sq m per month for the building group apartments, as these residents tended to be better off than Altoba’s usual clients. The average rent across the scheme is currently €6.36 per sq m per month (as of May 2015). The smallest flat (42 sq m) therefore costs around €240 per month, whilst the largest apartment (108m sq m) costs around €615 per month. 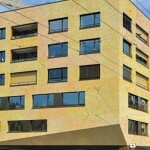 Altoba also receives a subsidy from the city council of €1 per sq m per month for its standard apartments, and €1.50 for the building group apartments. 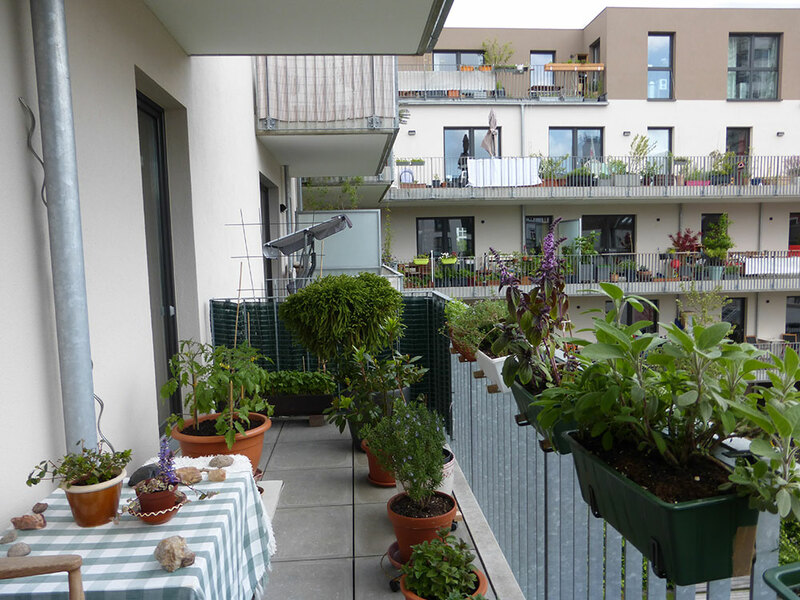 Additional funds of €2.5m came from a special funding programme to support energy-efficient construction (the “Energieeffizient Bauen” programme) administered by Germany’s national development bank (the “Kreditanstalt für Wiederaufbau” – or KfW). 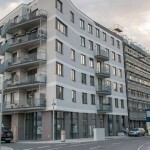 The remaining €4.3m came from Altoba’s own equity and a further loan from Altoba’s internal loans department (“Sparabteilung”), which draws on savings deposited with the cooperative. Diagram of the collaborative working process employed by Altoba and its partners on this kind of project. Baugenossenschaft BVE + altoba (top; blue) are two large cooperatives who commonly develop projects together. On the Kleine Bergstra?e project, only Altoba was involved. 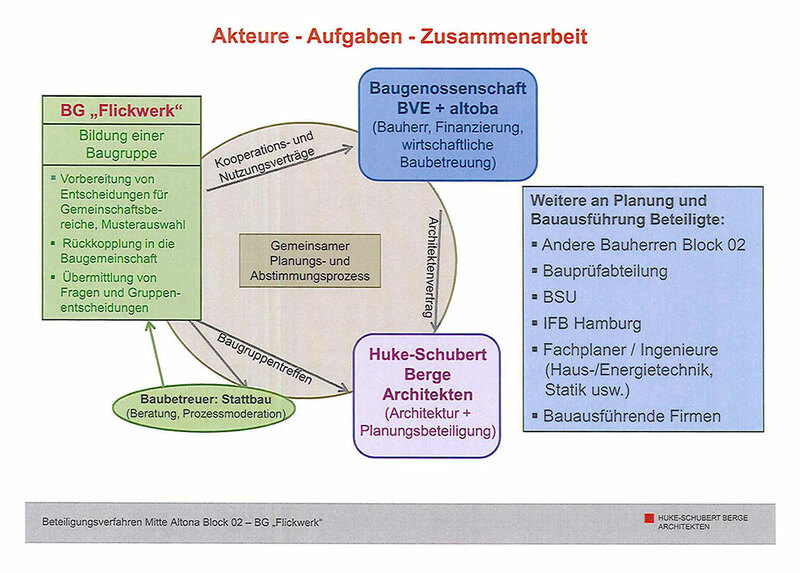 The cooperatives contract directly with Huke-Schubert-Berge Architekten (bottom; purple) who provides ‘planning participation’ services to the building groups, alongside traditional architectural services. BG ‘Flickwerk’ (left; green) refers to the building groups. These are considered as a single group for the purposes of a structured decision-making process. They have a contract with Altoba that details the participation of the group members in the development process (a requirement of the land release). This comes with a right to occupy the homes that are produced. The groups also have a direct relationship with the architects for the purposes of design. The building groups are contractually linked to a ‘Baubetreuer’ (construction supervisor) whose job it is to help them make decisions by the deadlines set by the development programme. The Baubetreuer also helps the groups form a legal entity and they act as the groups’ nominated representative in the development team for any decisions that must be made as a group. For further information on this role, refer to Briefing Note Help and support for groups. The blue box on the right refers to other people involved in the development process, including planners, engineers (structure, environment, etc. ), contractors, lenders, building inspectors, neighbours (within the block defined by the Bebauungsplan) and the city’s housing department, through whom the land-release was made. What kinds of decisions does each partner make? The lead development team makes high-level, strategic decisions concerning the overall financial health of the development. This team also defines the parameters within which detailed decisions can be made about design and specification. These more detailed decisions – within defined choices – can be made by the future residents and were split into two types. For example, the building groups had to collectively decide on the design of the community spaces, entrances and stair-wells within their block and could participate in the selection of standards, materials and equipment. Groups are assisted in this process by the architect and by the Baubetreuer, who feed their views into the development process and budget. Individual building group members were then able to specify the layout and material finishes for their own homes within the parameters voted on by the group. They worked directly with the architect to do this and had to confirm their choices by signatures at key deadlines. This prevented endless changing of minds, and kept the development process on track.